Morning! 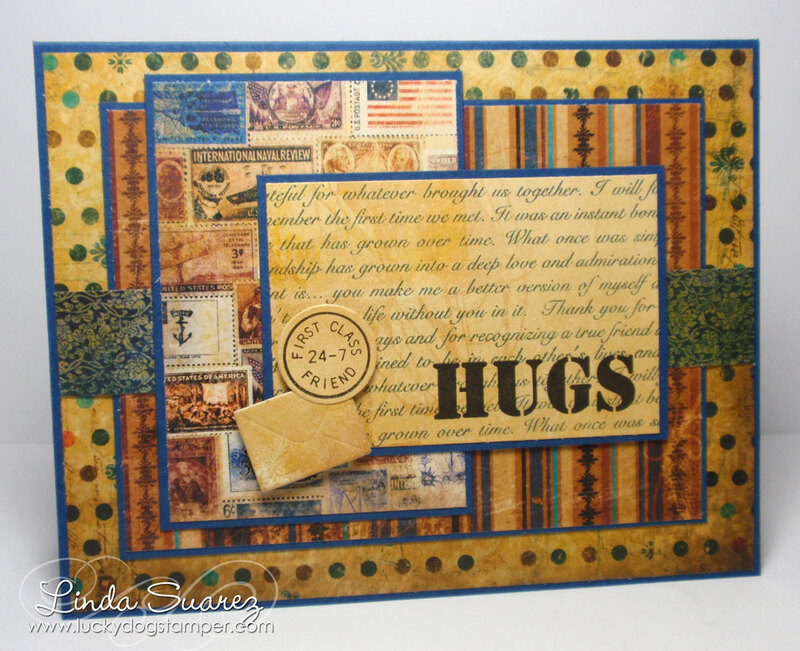 Today I have a card that I made using the First Class Friend stamp set from My Favorite Things. I've had this stamp set for a while but hadn't used it yet. So I was determined to get it inky. And I thought the gorgeous Weekend Market paper collection from Bo Bunny was a perfect fit with the stamps and MFT's weekly sketch challenge #61. This sketch goes into my files as a favorite for use with patterned paper collections. It's hard to tell in the photo but the little rectangular element is an embossed envelope. Very cute!